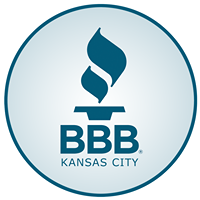 BBB 2019 Annual Meeting: "Change Before You Have To"
At the BBB of Greater Kansas City, 2018 has been a refreshing year of growth and change. We look forward to gaining even more momentum in 2019, continuing to evolve so we can best serve our accredited organizations and the business community. We are thrilled to share the next part of our journey with you, and remain committed to cultivating a thriving, ethical marketplace in the Kansas City area. This year, we’re honored to be joined by keynote speaker Shawn Kanungo, who will fire us up to approach business with fresh perspectives, and fuel our pursuits of growth and progress. We’ll be kicking off the evening in red carpet fashion with entertainment & networking (the fun kind), courtesy of Jamie Campbell & Michael Foster of Yes, Co., beginning at 5:00PM. With live jazz sprinkled in and dinner served promptly at 6:00PM at The Venue, you won’t want to miss this special evening!